The branded backpack is an all time favourite with brands, both large and small. If you have teams traveling and working together a backpack can be the perfect addition to your giveaway merchandise. High quality, well designed and always useful, backpacks come in a veriaty of sizes and configurations. Printed and promotional backpacks can make a real statement and carry your marketing message far and wide. Sturdy Premium, REACH certified 600 x 300D polyester laptop backpack. Complete with many pockets, padded adjustable straps and an organiser section. Great value Durable promotional backpack made from 300x250d REACH complaint polyester. Adjustable backstraps and a carry handle. 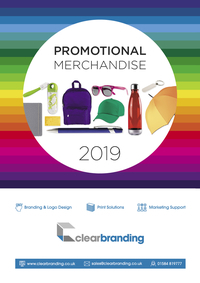 Copyright © 2019 Clear Branding Limited All Rights Reserved.